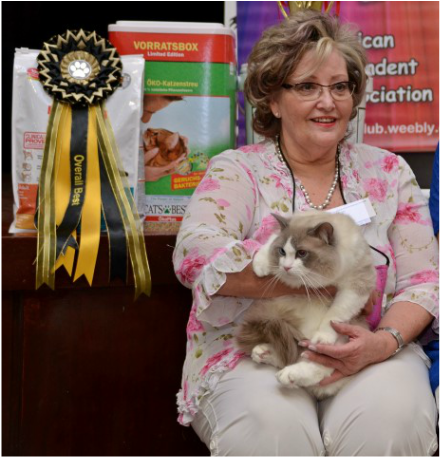 On 28 November 2015, AICA joined the OSRBG Breeders Group and CASA and held the last show event for 2015 at the Brackenfell Civic centre. 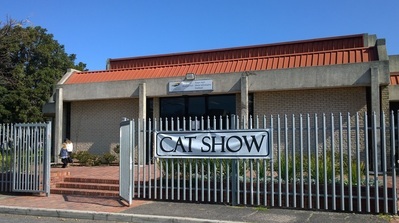 This is a great venue with lots of space and light and ample parking, albeit not well indicated on GPS and road maps. Sandy Gunst was our dedicated door lady again and although not as many visitors as in August, the entrance fees dit help to defray some of the costs. The Tygerburger published another article about the show, as submitted by Alida Delport. It was a lovely day, with ample light our efficient judges did a sterling job. 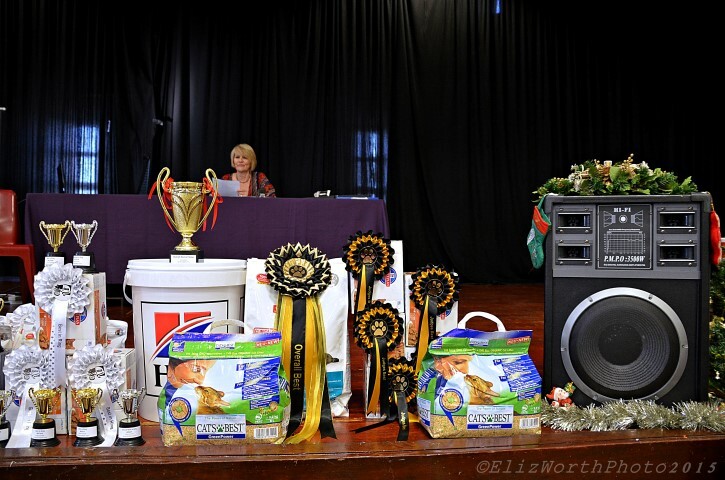 The great catering by Cimmy & Manie de Bod was appreciated by officials and exhibitors alike. We were privileged to have two visiting judges from Gauteng, who also helped with setting up and breaking down of the hall with lots of enthusiasm. Hills and Cats Best were again very generous with their sponsorship and the lovely rosettes by Rushfords were as popular as always. The beautiful cage decorations added a lot to the great athmosphere and there was a general "Christmas Cheer" in the hall. Next year is just around the corner - now to raise those lovely litters of kittens, abounding at this time of the year.